Easily accessible by both BTS and MRT, Asoke and Nana are a hive of activity both day and night. The are is also home to a diverse range of amazing restaurants. 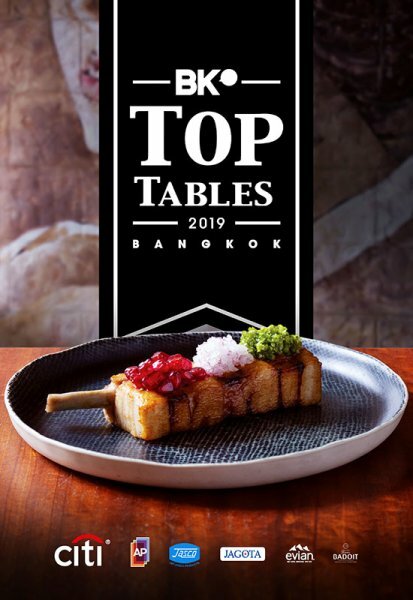 Here are our absolute top picks, as selected by the independent panel of BK's Top Tables guide to Bangkok's 100 best restaurants. (Fusion) When eating at the sky-high Bangkok outpost of AmericanKorean celeb chef Akira Back, make sure you order to share. The menu’s designed for it, and doing so means you won’t miss out on trying highlights from the umami-rich and crispy-chewy wagyu tacos to the crispy tuna sashimi pizza to the grilled octopus with smoked jalapeno sauce. (Indian) This sleek and sultry restaurant pairs boldly spiced Indian-style kebabs with creative cocktails. The wonderfully flavorful meat from the tandoor is joined on the menu by other Indian classics like daal (stewed lentils) and phirini (rice pudding) that are no less authentic. (Italian) Enoteca has been among the top of Bangkok’s Italian restaurant scene for all the right reasons: delicate food bursting with traditional flavors, rustic dining room, huge wine list and personable service. Head chef Stefano Borra (formerly chef-owner of the one-Michelin-starred Ristorante VO) has kept up the reputation for comfortably priced degustation menus that aim for Piedemontese flavors. The huge wine menu spotlights Borolo. (Thai) Despite its striking setting—a 100-year-old house that pays homage to Thailand’s rich heritage with a faux-museum of antiques and old photos— The Local’s menu still manages to take the spotlight. Focusing on hard-to-find Thai court recipes and regional products, authentic Thai flavors burst from century-old recipes like beef in spicy herbal soup and Thai mackerel in coconut milk, all served in a warm and bright dining area. 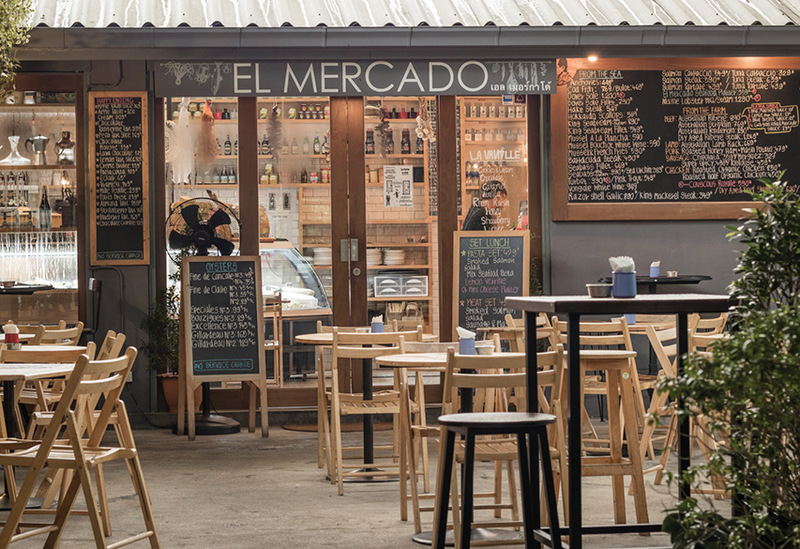 (French) This deli-slash-bistro may represent the antithesis of Bangkok’s current locally-sourced ingredients obsession, but the foodies who swarm its open courtyard don’t mind. They come not only for the imported cheese and cold cuts (is there a better selection in town? ), but for the well-executed Mediterranean dishes that do justice to their seasonal ingredients. Order from the big chalkboards, where a frequently changing list of specials showcase the best of what’s fresh in. (Indian) We don’t just love Rang Mahal for chef Rajan Misra’s (with the restaurant for two decades) rich butter chicken, pillowy naan and other north Indian classics. No other Indian restaurant in Bangkok has the heritage or the views to match this ornately over-the-top hotel institution where the service is always impeccable. Those in the know will always choose the amazing value Sunday brunch. (Japanese) The restaurant’s Eastern oasis vibe is echoed in efficiently-crafted dishes that emerge from the kitchen to a roomful of locals and Japanese expats. Of especially good value are the multi-course lunch sets, which, when coupled with the gracious service, help explain why Ten-Sui is consistently packed. One of the most innovative food companies in Thailand today, JAGOTA sources the world's finest ingredients, offering chefs and food industry professionals bespoke solutions, new ideas and trend-setting produce.